Changing value in onClick, in button. This will create a new listener in "On Click ()" at the Start. 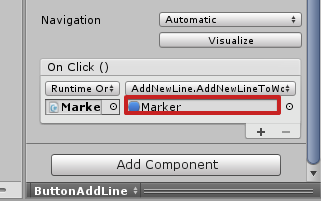 It will then assign its value to be "Marker" so whenever the button is pressed it will pass though "Marker".